Remember Elio Motors, the startup company that made waves last year for trying to build maybe-vaporware, 65 MPG three-wheel vehicles at a former GM truck plant in Shreveport, La.? It looks like they're one step closer to actually doing it. Maybe, anyway. The New Orleans Advocate reports that Elio just secured a deal to rent approximately 1.5 million square feet of the 4.1 million-square-foot building which used to be the General Motors Shreveport Assembly and Stamping Plant. 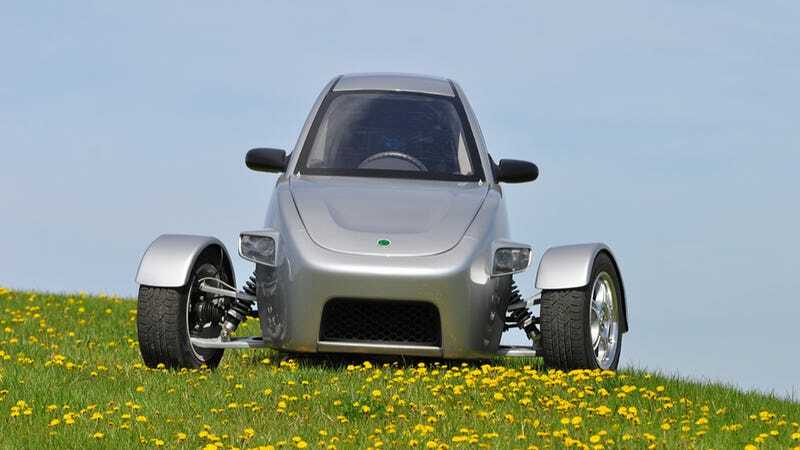 CEO and founder Paul Elio said he now expects to begin commercial production in 2015, though that's a year later than expected. They just raised $7 million for the endeavor. Now all they need is another $193 million to complete the task and, by their estimation, bring 1,500 jobs to an area that was hit hard by the closing of the GM plant during the Carpocalypse. The Elio three-wheeler is said to get as much as 49 MPG in the city and 84 MPG on the highway from its three-cylinder engine, and be vastly more affordable than other new cars, and come with a full three-year warranty. Paul Elio has said he wants to produce up to 250,000 cars at the plant per year. Elio Motors has received significant support from the local authorities for production, including changes to the law that would have required a helmet in Louisiana to operate the vehicle and a $7.5 million investment in the plant by the Caddo Parish government that cleared the way for Elio to lease the space. As with any automotive startup, take this one with a huge grain of salt. It's always an uphill battle to establish a new car company, especially one as niche as Elio Motors is trying to be.